Mayotte has a population of just about 190,000 people, but since the total land area is only about 145 square miles, the islands that make up the country are considered very densely populated. 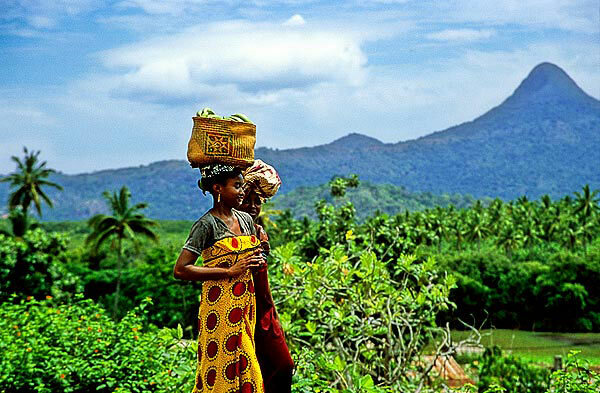 Two thirds of the population is composed of local inhabitants, born in Mayotte. A large immigrant population of 31% comes from the nearby Comoro islands and Madagascar while the rest of the population comes from France or other countries. 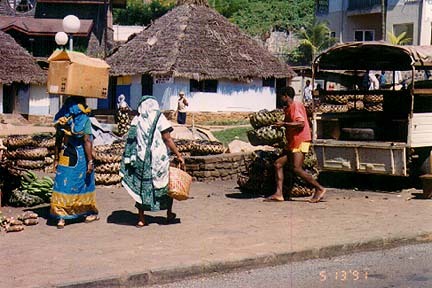 Mayotte was politically separated from the Comoro Islands in 1970.The main religion is Islam, indicating the influence of Arabic traders who frequented the islands for centuries before they became French territory. France has six overseas collectives or regions that are administered from France. The French collective of Mayotte is one of these regions that have its own general council to help to govern the territory. Mayotte is an island in the Indian Ocean, in the Mozambique Channel, the area between Madagascar and Northern Mozambique on the African Continent. It is a very densely populated country, also known as Mahore. The name seems to have come from Mawuti, which is a short form of Jazirat al-Mawt or the "island of death." Its Arabic association is also apparent from its religion and language. There are no railways or waterways on these islands, and the road length at about 59 miles is considered adequate for the region. The main economic activity is agriculture and fish farming and the country is largely dependent on aid from France. The main island of Mahore, or Grande Terre, is 24 miles long and 14 miles wide and has a high point of 2165 feet above sea level. The island is mainly composed of volcanic rock, making the soil very rich in some areas. There is a coral reef surrounding the island, which is a habitat for fish and also affords protection to ships that enter the harbor. 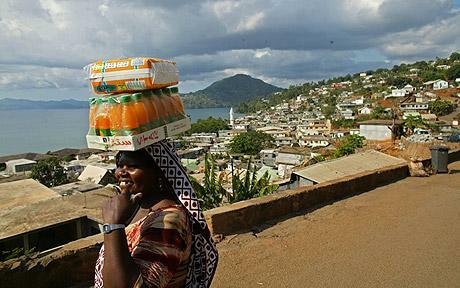 The capital of Mayotte is Dzaudzi, situated on one of the smaller islands and also one of its ports. The island has a lot of deep ravines in its undulating terrain with volcanic peaks. The climate is classified as tropical and marine and is largely influenced by the Indian Ocean. The northeast monsoon hits Mayotte from November to May with occasional cyclones. A sultanate was established on the islands in 1500, and though it came into the view of Portuguese explorers the islands were not colonized. A Madagascar king conquered it in 1832 with the island changing hands a number of times until it gained independence under a local sultan in 1836. It was ceded to France in 1843 and in 1974 voted to retain its links with France and forgo independence. Comoros continues to claim the island and a UN resolution favoring them was vetoed by France in 1976 and every time the resolution comes up for discussion. The people of Mayotte have voted in a referendum to become an overseas community of France, which would entitle them to get the same healthcare and welfare system that the rest of France enjoys. This will also ensure that the unofficial Islamic law now in force would be replaced by the civil code as applied in France. You would find a lot of wattle and daub or coconut frond huts in the areas surrounding the capital, an architecture influenced by Malagasy. The coconut fronds are tressed and mud daubed on the wattle made from these fronds. So a walk along the streets on Mayotte is an interesting experience for most tourists. The mountainous terrain makes for a very good hiking experience and a climb to the top of Mount Choungui (660 meters) provides a panoramic view of the island. 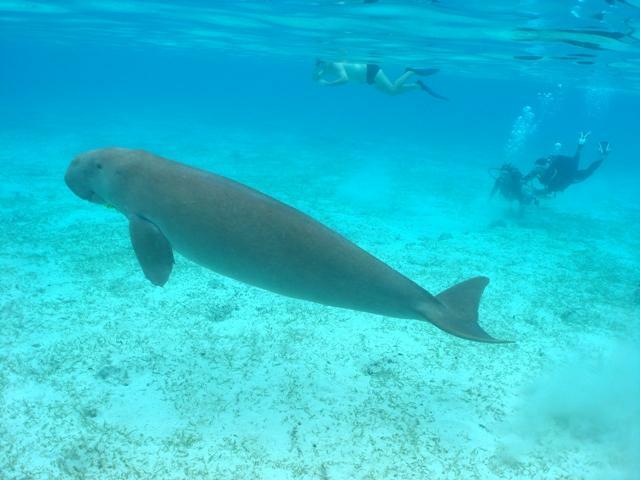 Diving in the coral reef is a major attraction, and this lagoon, the worlds largest, is a riot of marine life. In the months of August and September, humpback whales are spotted in the lagoon and are an impressive sight. The southern coast of the island is a breeding place for sea turtles and the huge creatures are a rare treat for visitors to this area. 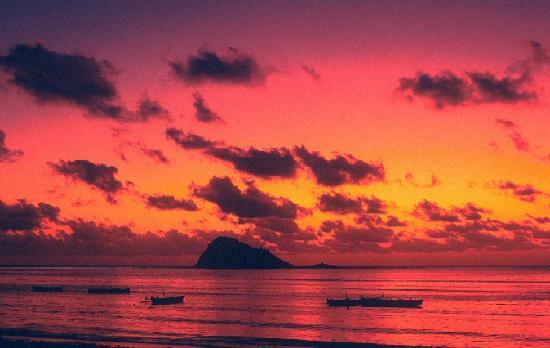 There is almost no tourist traffic coming into Mayotte and so there is a paucity of nightlife. Visitors are mostly confined to finding their entertainment at the hotel where they stay. Chez Abdou is a seafood restaurant with rather primitive facilities, but the food is the best in the region. You can also attend music shows given by the Vikings as part of nightlife in Mayotte. The music is completely African and full of energy. The band keeps changing their locations and you will need to ask locals where the current venue is. French is the official language, though most Mahorans as they are known, speak Shimaore, which is linked to the Comorian islanders. Most children attend Koranic schools to learn Koranic text in Arabic, a tradition passed down from generations of the Islamic influence from their previous Arab masters. Swahili is also largely understood, a language predominant in the entire coastline states on the African subcontinent facing the Indian Ocean. Dress styles follow both the European style and the Comorian fashion with the Muslim robe, or kandzu, and the embroidered cap, or kofia. Most women wear veils along with the wrapped garment. The cuisine is influenced by French, Arabic, African, and Indian cuisines. No meal is considered complete if there are not plenty of spices in it. These are mainly cardamom, coriander, cloves, and nutmeg, though a lot of other spices are also used. There is also a hint of Portuguese cuisine in some of the dishes. Not surprisingly, seafood is prominent on most menus. Freshly caught fish, crab, or calamari is a must for most meals. A lot of vegetables are also used in the cuisine, again with heavy addition of spices, and in combinations with the other crops like sorghum, millet and maize. Soups and stews with bean and squash are a favorite, as are those with meat, fish, prawns, and shrimp. The Islamic religion forbids the use of alcohol and hence it is rarely served.